Showing results for tags 'advcash'. Magnetic Exchange is a service for those who would like to exchange one electronic currency for another profitably and securely. With the help of the service you can sell or buy Perfect Money, Neteller, Advanced Cash, EXMO, LavaPay, MoneyPolo, Paxum, Payza, and Solid Trust Pay. The Magnetic Exchange service is owned and managed by the Magnetic Exchange Team. 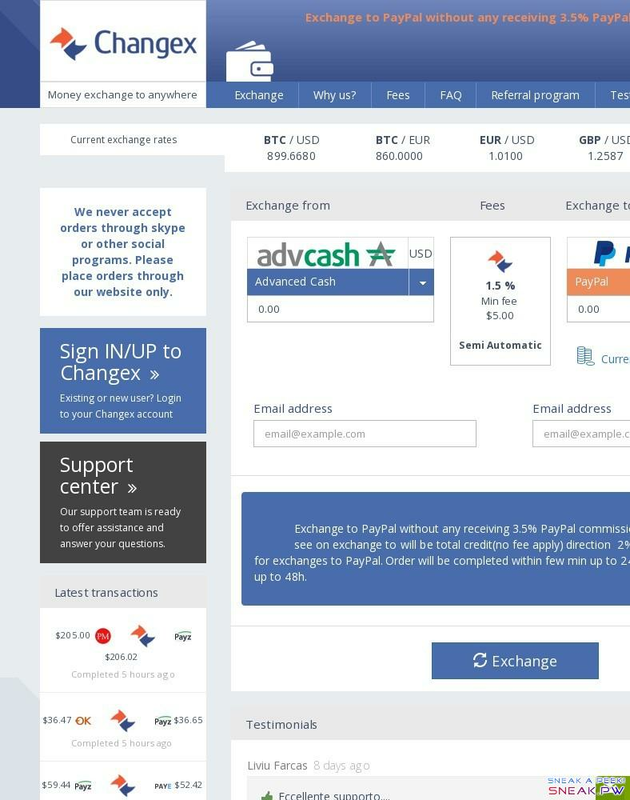 Thanks to the highly professional team that have been developing the website and serving the customers, which has been present on the e-currency exchange market since 2008. Magnetic Exchange provides a cumulative discount program and a loyalty program for returning customers. Also we are offering a profitable two-level Affiliate Program. Register now to start recruiting new users and receive from 15% to 30% off our profit we get from your first-level referrals and up to 3% off the profit we get from your second-level referrals. Changer.com is an automatic platform that streamlines the exchange from one digital currency to another digital currency in an instant manner. No account needed! The platform works automatically 24/7/365. You can change Bitcoin to Litecoin or Litecoin to Bitcoin instantly, for example. Just select the exchange direction and follow the instructions. We aim to make every aspect of exchanging as simple and convenient as possible trying to offer you a stress-free experience with a focus on delivering a great user experience along the way. The majority of our customers come from referrals from other customers and that fact gives us great pride. We have built our reputation in time through quality of service 7+ years history: we opened our doors in April 2009 as xChanger.org and in 2014 re-branded as Changer.com. You can expect the same 110% dedication regardless of the amount of your exchange order. At Changer.com, we pride ourselves on excellent customer service support.